To coincide with the Freak Out Ethel! night at the ICA, there’s another event which sounds much more interesting – a talk plus Q&A session covering the original 14-Hour Technicolor Dream event with people key to it. 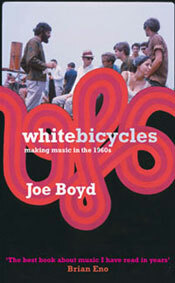 These include Joe Boyd, producer of the likes of The Pink Floyd, The Incredible String Band and Fairport Convention and author of the must-read White Bicycles, Miles – founder of the UK’s first underground newspaper (International Times) and the Indica bookstore, Hoppy Hopkins – man behind the resurrection of the Notting Hill carnival, UFO Club and original 14-Hour Technicolor Dream and John Dunbar – founder of the Indica art gallery. Tickets are £10 / £9 Concessions / £8 ICA Members or you can bag a joint one for this and the Freak Out Ethel! night.